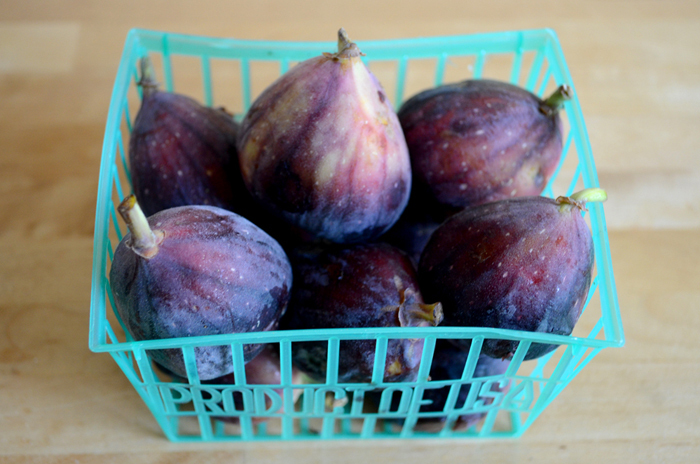 Figs come and go pretty quickly during the summer and they’re easy to miss, so it feels extra special when you find some ripe figs at the fruiterer. 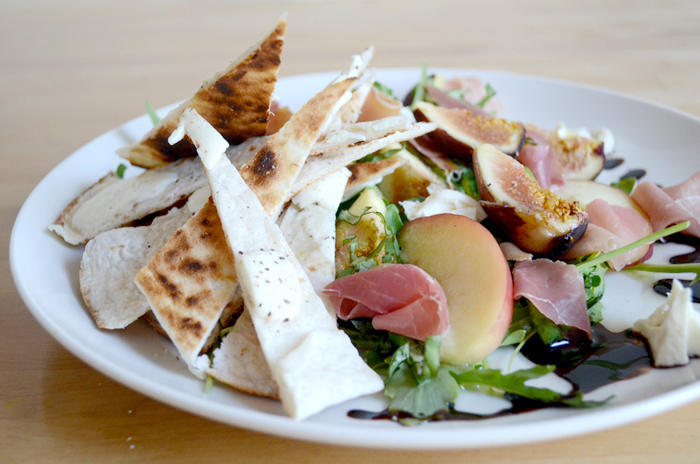 This salad with figs and prosciutto is a really quick, light and a easy on the eye. Luckily I have a great Italian deli across the street, which makes fresh mozzarella every hour – who can resist? 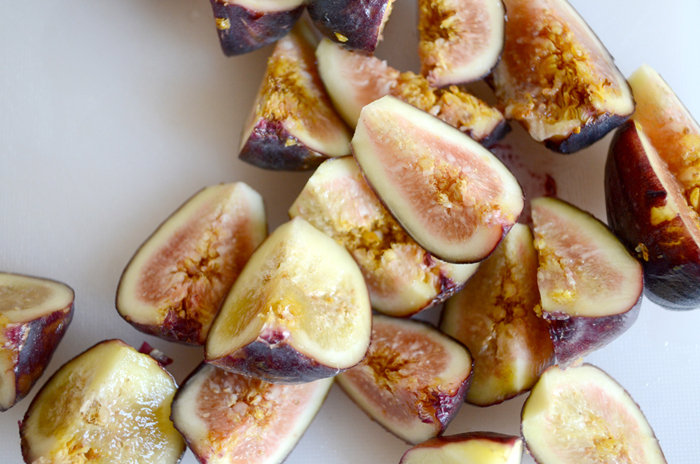 Ripe figs are best for this dish, in the States the variety with the dark skins is common, though I also see the green type now and then. The skins are good to eat, so just wash them and cut off the stems and cut into wedges. Prep the rest of the ingredients – wash the rocket, cut the basil leaves into thin strips, and cut the nectarines into thin wedges. 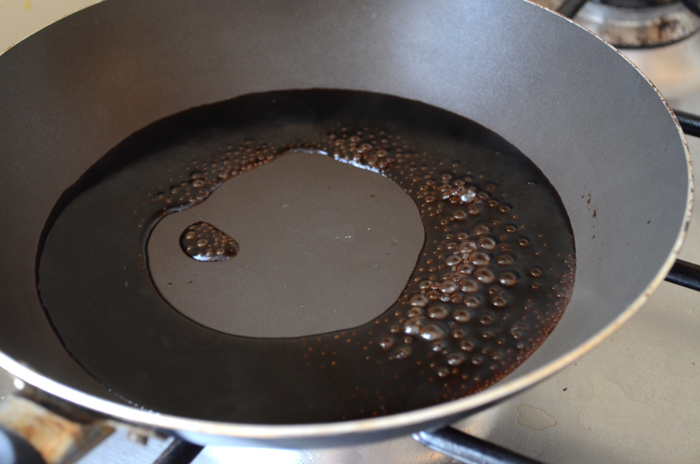 Cook the balsamic vinegar in a small saucepan on a medium heat until it starts boiling, and then bring it down to a small simmer to reduce. 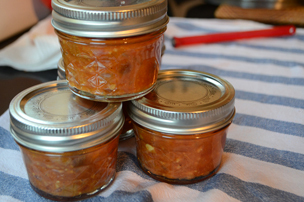 Make sure the vinegar keeps moving and doesn’t burn – it should reduce to about 1/2 the volume and turn into a stickier, thicker consistency. Tear half of the mozzarella into small pieces and crisp up in a saucepan on the white wraps. Season with salt and pepper. 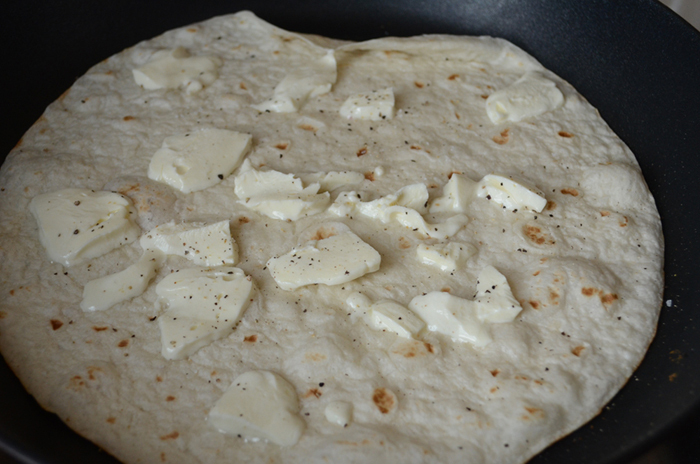 Remove from the heat when the cheese is melted and the wrap is crispy. Cut the wrap into small slices. 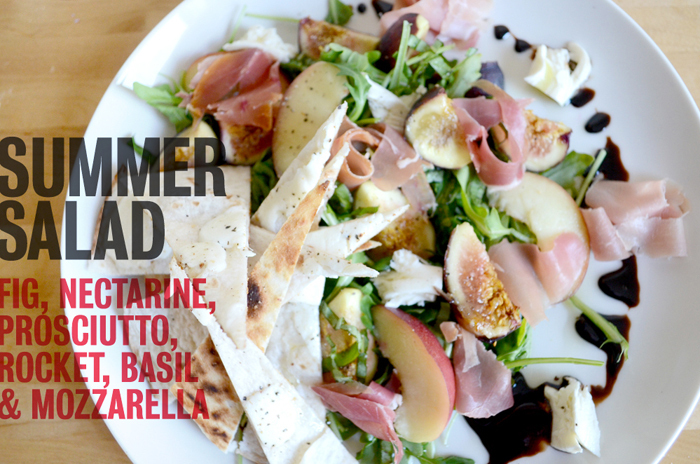 Assemble the salad by tossing the rocket, basil, figs and nectarines on the plate. Place the wedges of mozzarella strips and tear some fresh mozzarella around as well. 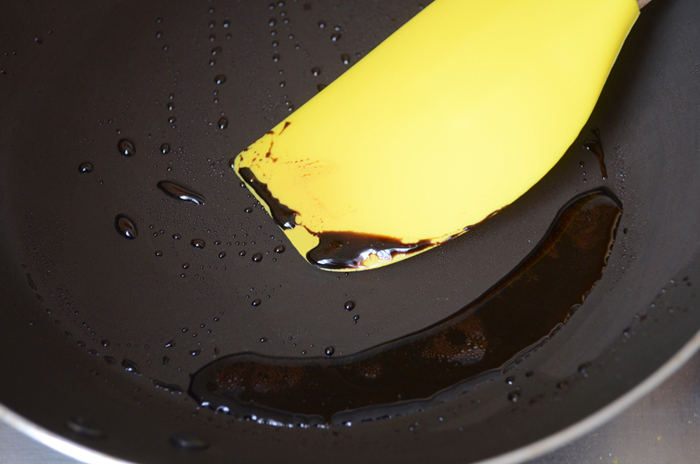 Finish the salad by drizzling the balsamic reduction and some olive oil around the plate. 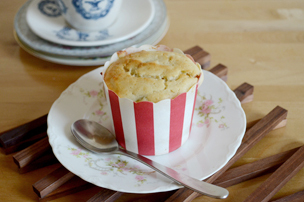 This makes a great starter at a dinner party or even a simple weeknight dinner – it’s a complete meal in itself! © 2013 Sort and Paper. All Rights Reserved.